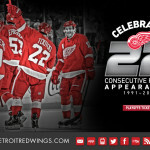 Henrik Zetterberg scored his 300th NHL goal Friday night in the Red Wings’ 2-1 win over Toronto. Zetterberg is now the eighth player in Red Wing history to reach that milestone. 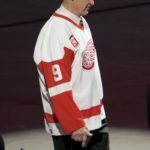 He is also the fifth Wing to register 300 goals and 800 points, joining Gordie Howe, Alex Delvecchio, Steve Yzerman and Sergei Fedorov. 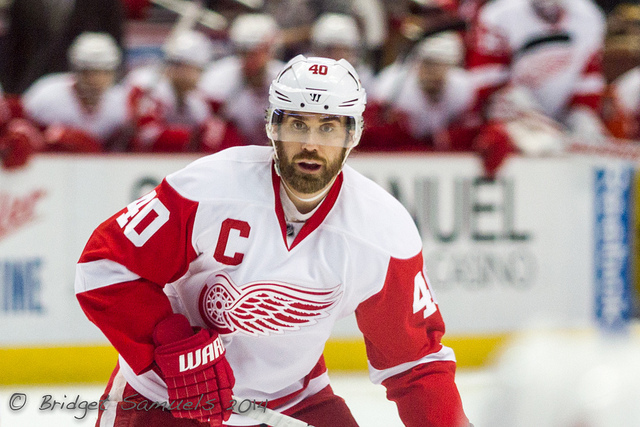 Zetterberg, has enjoyed an incredible career as one of the most consistent hockey players to play the game. This is especially true, when you consider where he was drafted : Taken with the 210 pick, of the seventh round, in 1999. 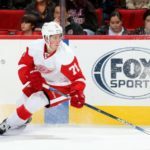 The Detroit Red Wings are renowned for their ability to draft players in the late rounds. This is a huge reason why the organization owns the longest playoff streak in North American professional sports. The Detroit Red Wings franchise has yet, another Hall of Famer, in Henrik Zetterberg. Congratulations, 300 NHL goals, 800 points. It has been a joy to take it all in. Such an incredible career! There should be no doubt, Zetterberg is going to the Hall of Fame. Just imagine the numbers… if there were no injury concerns. 800 points is impressive for anybody. Never mind a player who was a long-shot to make the NHL. Zetterberg, since has put his name among the best of his generation.